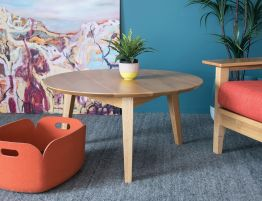 A classic Danish esthetic was used to create the Copenhagen furniture collection. 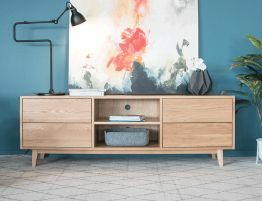 Create a stylish oasis in your home with clean, modern furniture like the Copenhagen Oak TV cabinet from this well received, modern furniture array. 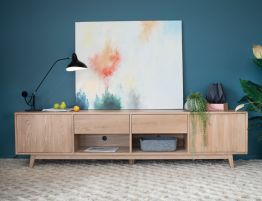 The Copenhagen entertainment console allows you to house your television, components and even remotes and sundries while brining a chic, understated modern style to your space.The Copenhagen Solid Oak TV Unit with Two Drawers offers on point contemporary style and thoughtful elements like clean, handleless on-touch open drawers and an appealing natural wood grain. 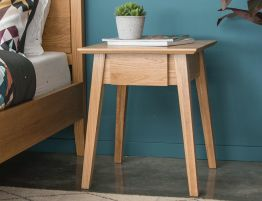 The fresh, uncluttered style of this oak console pairs classic Danish style with a refreshing modern update. 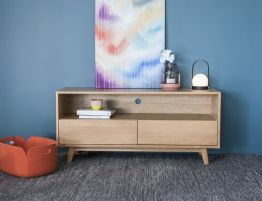 Our Copenhagen solid oak wood media cabinet looks chic in your living room, media room or even to stylishly house your bedroom tv. 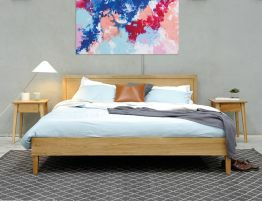 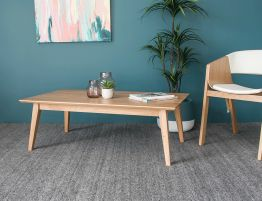 There are a number of other fine pieces in the Copenhagen furniture collection that can help you pull together a cohesive look that expresses your personal style.